Farberware is a brand which produces kitchen related appliances and cookwares. The brand was founded in New York City in 1900 and acquired by Meyer Corporation in 1997. Russian emigrant, Simon Farber, began S. W. Farber Inc in 1897, which manufactured gift trays and racks. The company was officially founded in 1900 and started as a match peddler located on the Lower East Side of Manhattan. It later expanded to Brooklyn, opening a plant there and invented a clamp-on light. During the 1940s, Simon's son Isadore became the company's president and his other son, Milton, became vice president. In 1944, the company moved to The Bronx and expanded into the manufacturing of stainless steel pots and pans dubbed Farberware. During World War II, the company assisted the United States government in manufacturing small arms. Milton was honored for serving as chairman of production engineering and of the Small Business Mobilization Committee. Simon's nephew, Sam Farber, joined the company after serving in the Second World War. Milton became the president after Isadore retired and opened a factory in Israel. The company was sold to Hanson Industries. Milton remained in his position until his retirement in 1973. The company has since undergone numerous name changes. In 1993, Farberware's pans were manufactured by Syratech and the pan's recoating was covered by All American Lighting Corp. The Better Business Bureau has received numerous complaints of issues with recoating. Meyer Corporation later acquired the Farberware license in 1997 and backed warranties for pans purchased after from that year forward. In 1981, New Jersey leased Farberware's factory building, the borough's largest, to U.S. Industries, which pledged to operate for 25 years. U.S. Industries, however, sold the Farberware brand to Boston company, Syratech Corporation in 1993. In 1992, Farberware Millennium, an anti-scratch anti-stick pan, had been described as "one of the finest cookware innovations". After testing "1,000 back-and-forth scrapes by a metal spatula" the Millennium pan did not scratch. By 1995, Farberware was among the largest producers of stainless-steel cookware in the United States reporting an "anemic annual earnings of $1 million on sales of $125 million for the fiscal year". Syratech was a $169 million dollar company at the time and paid higher wages than those offered in China or Malaysia. Union members feared that production would be outsourced to those countries with lower wages. Farberware products are currently found in most major retailers, including Walmart. ^ "SAM the Straight Answer Ma'am column". Winston-Salem Journal. 2003-03-13. Archived from the original on 2018-02-11. Retrieved 2018-02-11. ^ "Cookware Saves Nutrients, Reduces Need for Cooking Oil". The Morning Call. 1993-04-18. Archived from the original on 2018-02-11. Retrieved 2018-02-11. ^ a b Lambert, Bruce (1991-11-15). "Milton Farber, 81, Retired Head Of Farberware Company, Is Dead". The New York Times. Archived from the original on 2018-02-11. Retrieved 2018-02-11. ^ Fox, Margalit (21 June 2013). "Sam Farber, Creator of Oxo Utensils, Dies at 88". The New York Times. Retrieved 2018-03-06. ^ Harris, Sheryl (2002-03-20). "Now it's raining frying pans". The Plain Dealer. Archived from the original on 2018-02-11. Retrieved 2018-02-11. ^ Foderaro, Lisa W. (1997-04-10). "Unusual Settlement Ends Dispute Over Farberware Factory". The New York Times. Archived from the original on 2018-02-11. Retrieved 2018-02-11. ^ Crea, Joe (1992-09-02). 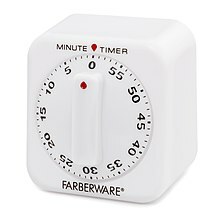 "Joe Crea's Food Tip - Farberware's Millennium line is tough stuff". Orange County Register. Archived from the original on 2018-02-11. Retrieved 2018-02-11. ^ Tergesen, Anne E. (1996-04-28). "The Heat Is On - Farberware Workers Make Pots & Plans". The Record. Archived from the original on 2018-02-11. Retrieved 2018-02-11. ^ Burkey, Brent (2007-12-05). "Local Pfaltzgraff factory stores are off the block Twenty-seven Farberware stores are closing, as well as three Pfaltzgraff stores". York Daily Record. Archived from the original on 2018-02-11. Retrieved 2018-02-11.